If you need Captivating Copywriting for your marketing or Search Engine Optimized Web Content for your website you have landed in the right place. Creating marketing materials that captivate your audience, articulate your message, and generate sales is no simple task. Keller Strategic copywriters will work with you to create the voice of your brand to bring your business vision to life, in a language that your clients speak. We also specialize in Search Engine Optimized (SEO) copywriting to create content balanced in such a way that it attracts search engines while being engaging and customer friendly. Our Calgary copywriting experts & web content writers have the know-how to create great content for your website, blog, social media profiles, brochures, advertisements, and much more. 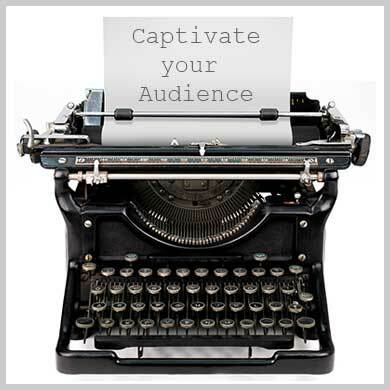 Whatever, the platform, venue or media type, our copywriting services are designed to attract, captivate, and convert your audience into sales leads, new followers, and increased reach online. *Click here to learn more about how we can help you grow your business with our captivating copywriting services and search engine enhanced web content writing. We are based in Calgary and we serve clients and partners from Calgary to the Caribbean!